We will post your tacky mats today! What’s the difference between a “sticky mat” and a “tacky mat”? The good news is, nothing. There’s no difference. Some American states call them “tacky mats” but in Australia, we generally call them “sticky mats”. Click here to make your order now! We provide a variety of tacky mats to reduce data center and construction dust contamination. 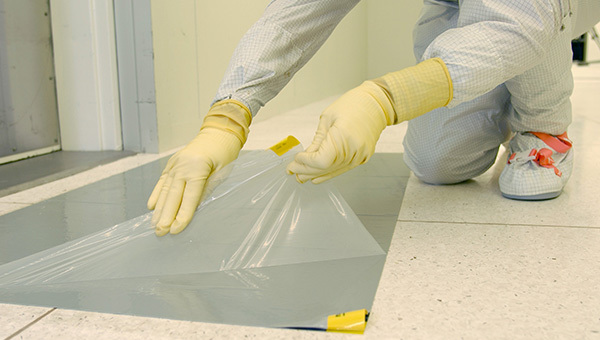 Each tacky mat is composed of multiple layers of polyethylene film with a specially treated pressure sensitive adhesive on one side, which catches the contaminants from dusty shoes or equipment. When each individual tacky sheet gathers contaminants, the sheet can be peeled off to expose a new sheet. Tacky mats are available in both standard and custom sizes and company logos can be provided. Removes particulates and other contaminants from boots and shoes before entrance in a critical environment.